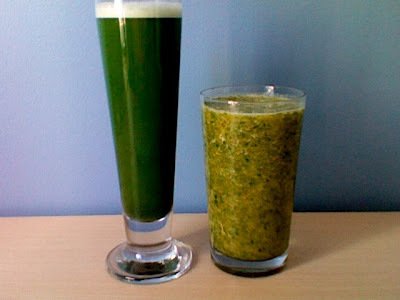 I've made myself my Greens Plus drink (1/3 scoop of Greens powder + 1.5 cups of water) and a green smoothie for breakfast! I'm juggling the 2 + my water because the tastes and textures are super foreign, but it's fun stuff. And the powder doesn't seem to ever fully blend into the water, so I have to keep stirring her up.